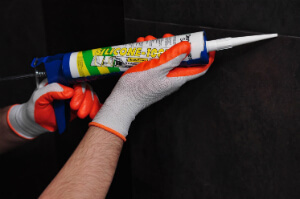 Handyman Painting & Decorating Middlesex UB | Quality Property Care Ltd. The professional handyman services offered by Quality Property Care Ltd. in Middlesex UB will come and do it for you at the finest handyman price in the area. 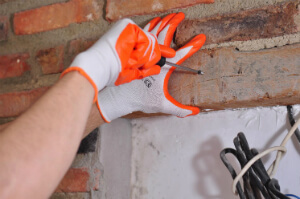 The property maintenance company offers a wide range of residential and commercial expert handyman services, as well as all kinds of interior and exterior odd jobs, property improvement and repair works, general repair work, furniture assembly, flat pack, decorating and painting, hanging and wall mounting, property maintenance service and other fixed-up tasks. Just call the customer care phone or send an online demand for a handyman job quotation right away. Unusual jobs – simple tasks that anyone can do but does not have the time or has some other constraints. All of Quality Property Care Ltd. handymen are multi skilled, capable of completing tasks ranging from electrical rewiring to basic plumbing, light bulb replacing, interior and exterior decoration work, kitchen fitting, bathroom fixture removal and installation, flat pack assembly, general improvements around your office and house, hanging of paintings, doors and windows. We also have tradesmen specializing in different fields like domestic plumbing, electrical, carpentry, painting, decoration and fitting of restrooms and kitchen areas. All of these professional hands are a quick phone call away, dial 020 3746 4287, it’s that simple. We generally work in any environment, from domestic to corporate, restaurants, resorts, bars and pubs, cinemas, motels, office buildings, libraries, public areas and we have holiday and weekend availability. Quality Property Care Ltd. experts do house plumbing including fixing leaking taps and pipes, repairing toilet flush and cisterns, unblocking pipes, unblocking toilets, standard plumbing in kitchens and bathrooms, installing washing machines, replacing taps and washers, dealing with bleeding radiators. For your business we can repair leaks and water damage, unclog urinals and pipes, deal with toilet installation along with a special maintenance account personalized for your needs. For hired properties we can replace sinks and basins, replace waste disposal units, re-seal baths and shower trays all of this with a assured satisfaction and full insurance coverage. Obtain an efficient handyman service in London, call 020 3746 4287 and ask for Quality Property Care Ltd. excellent handymen. For fix-up-tasks or any peculiar job in London, contact us at any time and get help instantly. We do standard repair work, property improvement and repair, indoor and outdoor painting, decorating, hanging and wall mounting and quite a lot more. Call anytime, get the finest handymen in London at a reasonable price today!